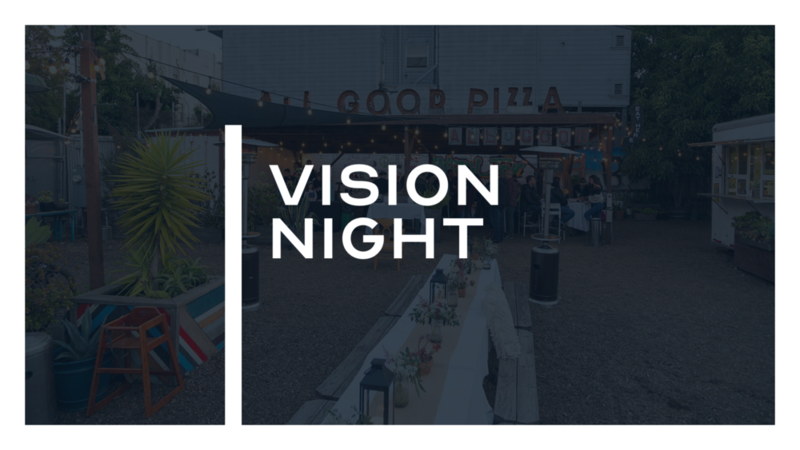 Bay City is providing Pizza, appetizers, and dessert to anyone interested in hearing the vision of our church that we've launched in San Francisco. We are happy to host our event at All Good Pizza, an amazing local spot on 3rd street in Bayview. You will hear our story to church planting, why we chose San Francisco, and how you can get plugged in and be a part of an awesome community hoping to build faith, family, and community in the Bay. You'll make some new friends too. If you are apart of our church family already, we'd love for you to join us, but we want to you to bring a friend, who is new to the Bay or looking for a church! We hope you'll join us for some good food and a time of sharing what God is doing in San Francisco. We are hosting a dinner for our team of volunteers that help Bay City function each Sunday! We will eat a delicious catered meal and dessert and give out a few fun awards! We are excited to hang out with you all and thanks for helping Bay City Church push forward in our city! Come visit us at one of our Sunday Gathering Previews. These gatherings will give you a chance to check out a service, meet some of the Bay City family and get a feel for our expression of church. Come hang out with the Bay City Church family as we cook up some food and hang out. Bring your kids and bring something to share!